practices across media, working with sculpture, installation and performance; all within walking distance from her home. The ingtimacy of her relationship with her surroundings leads her to produce an art of connections and coexistence between objects found or created, materialities, architecture and the urban and rural fabric. Her work dilates the boundaries that separate art and life, such as pulverizing stone pigments and fermenting foods or walking and performance. 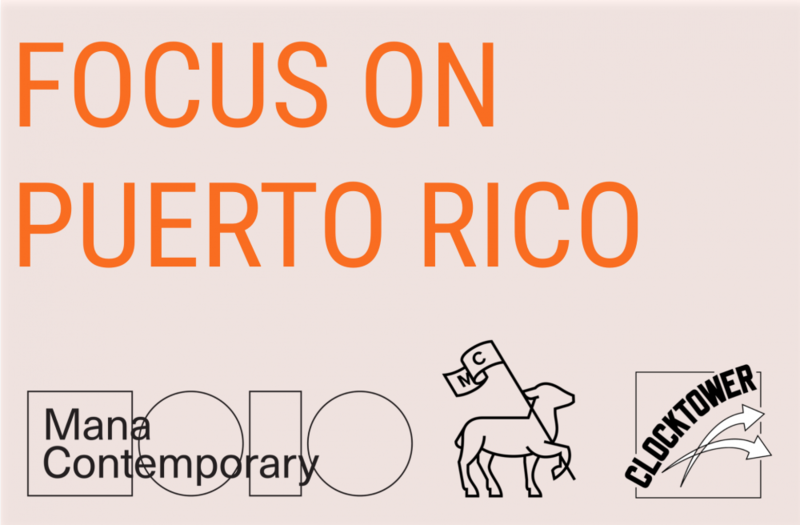 The impositions of the Board of Fiscal Control to the economic crisis in Puerto Rico and migratory movements are themes that addressed in her current production. She is the recipient of the Lexus Grant (2014) and was awarded a residency with the Live Workshop at the MAC (2015). Among her most recent exhibitions are Lito-grafía: Sensorio, Puesto afuera, Puerto Rico’s National Showcase, Arte en concreto, Pa'lo Santos, and Simulacro. Some of her street performances are Trote en furor, Halar del hilo, La siesta, and La picapedrera.